1980s Chevy S10 Durango, "Black & Tan"
Came across this while riding my bicycle to the D&L trail the other day. It was so clean I just had to stop and take a photo. 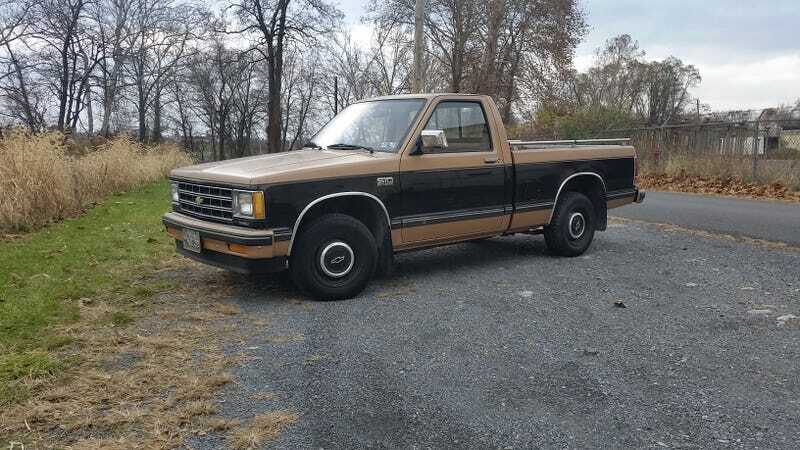 Cleanest 1980s S10 I’ve seen in the past decade at least. It had an automatic, sadly. But it has “Durango” written under the S10 badge, must have been some kind of trim package. I just love the standard cab, short bed config with those blacked-out dog dish hubcaps on steel wheels. It really works. 1980s Two-tone ftw!